These days, having a social media presence is almost as important as setting up a website for your business. Some people choose to focus on one over the other, but there’s no reason why you can’t have both a healthy social media presence and a compelling WordPress website. In fact, you can even find ways to integrate the two. Using a WordPress social media plugin. Integrating WordPress with social media using a third-party platform. Leveraging your social media platform’s embed functionality. There are a lot of options when it comes to combining social media with WordPress, so let’s get right to work! If you have a moment, go check out a few of your favorite websites right now. We’re willing to bet that all of them have social media profiles set up, and most probably display links to multiple platforms. The reason website owners go through all that effort is because social media is one of the best ways to drive more traffic to your website and share your content. The problem is that your website and your social media profiles are different entities, even if you use largely the same content on both. This means they each need to be managed separately, which can add up to a lot of work. Driving additional traffic. As we mentioned earlier, social media platforms are fantastic sources for organic traffic. 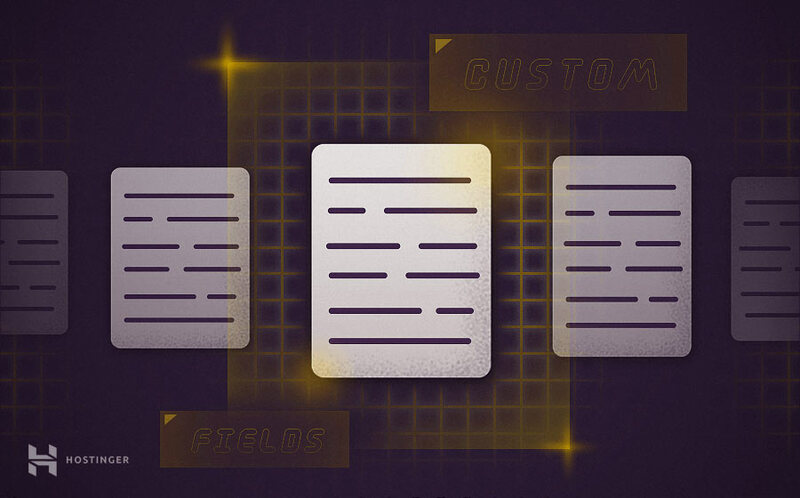 Providing new channels to engage your users on. The more social media platforms you’re active on, the more likely it is that your visitors will follow you on at least one of them. Making it easier for users to share your content. For example, integrating WordPress with Facebook can enable your visitors to share your posts with a single click, leading to more views and exposure. When we talk about WordPress social media integrations, we’re referring to a whole host of potential strategies. For example, you can connect WordPress with Facebook and add reactions to your posts. You can also enable your visitors to share your content on Twitter, LinkedIn, and more using simple buttons. Those are the most basic examples of WordPress social media integrations. However, you can also set up more advanced features. For example, by connecting WordPress with Instagram, you can automatically share some of your Instagram photos on your website. That means you can save a lot of time over publishing to both platforms manually. This same integration is also possible on other platforms. In the sections that follow, we’ll teach you how to connect WordPress with Facebook, Instagram, and other platforms. Let’s get to work! In this section, we’ll show you three approaches to WordPress social media integration. You can use a plugin, a third-party platform, and even a manual method. Let’s start with the simplest solution. What this plugin does is enable you to include sharing buttons in your WordPress posts. 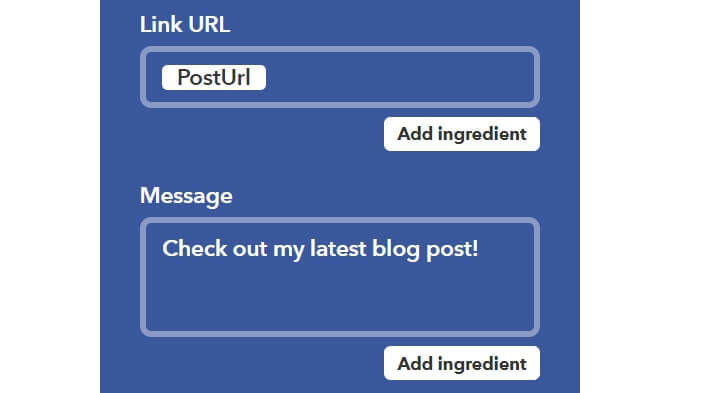 With this tool, you can connect WordPress with Facebook, Twitter, LinkedIn, Instagram, and dozens of other platforms. The plugin also supports many other types of integrations as well. You can configure it to re-post old content from time to time, and schedule social media publications in advance. It works with all the major platforms, such as Facebook, Twitter, LinkedIn, Tumblr, and the aforementioned Instagram. Those two plugins should give you an example of what you can do with WordPress social media integrations, although there are a lot more options where they came from. For now, let’s take a closer look at one example of an easy integration, by connecting WordPress with Instagram. Once you enable the plugin, a new Blog2Social tab will appear in your dashboard. Click on it, and select the Network option. Inside, you’ll find a list of all the social networks the plugin enables you to connect with WordPress. At this point, you’ll probably notice that there’s a drop-down menu labelled Share Now at the bottom of the screen. If you’re using the plugin’s premium version, you can only share posts instantly instead of scheduling them in advance. However, the plugin still saves you time by enabling you to attach a featured image, link, and publication text right from this screen. Once you’re done, select the Share button. That’s it! There should now be a new publication on your Instagram profile, linking back to your WordPress post. Just remember that you’ll have to repeat this process each time you want to share content from WordPress with Instagram. Also, you can connect multiple social media profiles and share the same content to as many as you’d like. This is only one example of the many WordPress social media integrations you can carry out using plugins, so you’ll want to fully explore all your options. For now, however, let’s move on to another way to connect your WordPress site with social media. 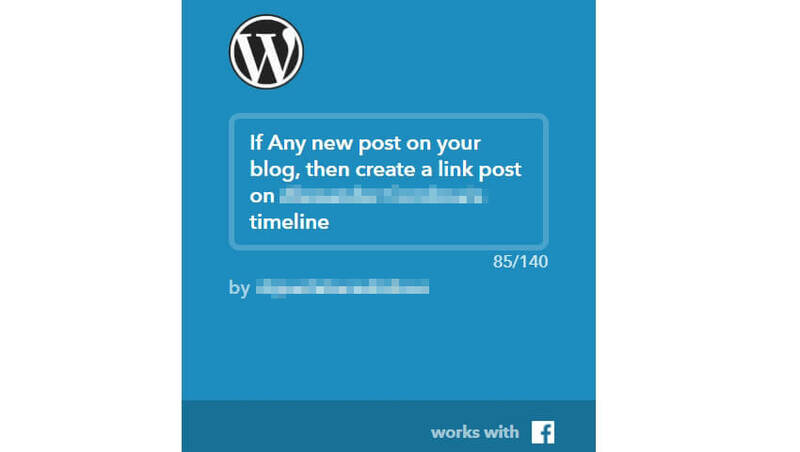 After connecting WordPress with IFTTT, you’ll be able to choose the trigger that will prompt the app to run. The platform might just show you a few choices at first, but there are dozens of hidden options. You can access those by clicking on the Suggest a new trigger button at the bottom of the screen. 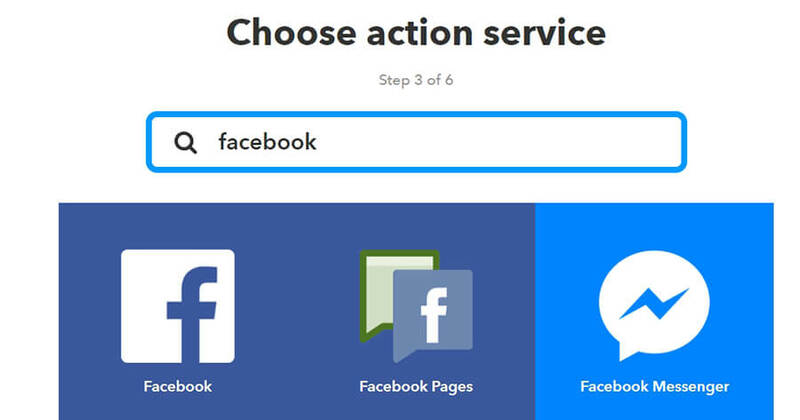 IFTTT works with dozens of services, and it offers hundreds of applets. There are a lot of fun WordPress social media integrations you can pull off with it, so check it out and see what you find! Last but not least, most social media platforms enable you to embed your publications manually on other websites. So far, we’ve only focused on sharing your WordPress content on social media, but this will let you do the reverse. The same process also applies to other platforms. You just have to look for their embed codes, and paste them in using the Text editor (since the Visual editor won’t recognize the code properly). Now, copy your embed code and repeat the same process as earlier. It works just the same as with Facebook. In our experience, all major social media platforms offer embed functionality, so it’s just a matter of looking for it within each site’s options. Your choices for integrating WordPress with social media this way are nearly endless. These days, you have dozens of options when it comes to what social media platforms to use. You don’t need to set up a profile on every platform, but it does help to engage with your followers in a few different places. 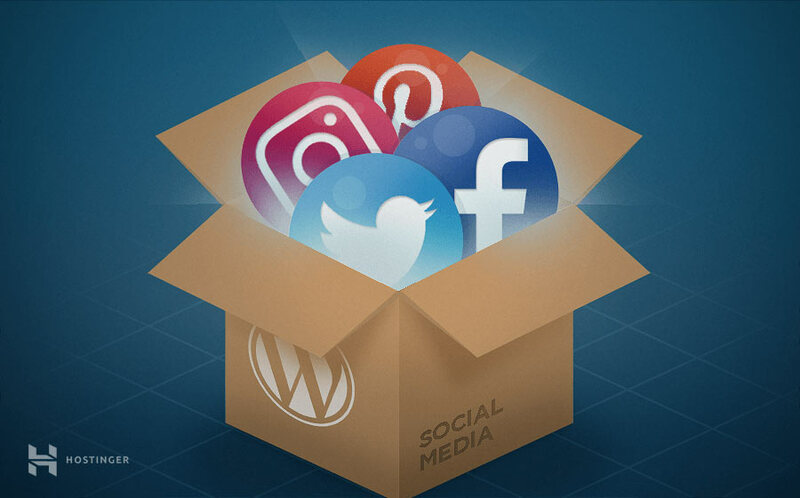 What’s more, you can perform WordPress social media integrations to give your content even more reach. You can do this by using plugins, through third-party platforms, or even manually, depending on the type of features you want. Do you have any questions about the WordPress social media integrations we’ve introduced? Let’s talk about them in the comments section below!